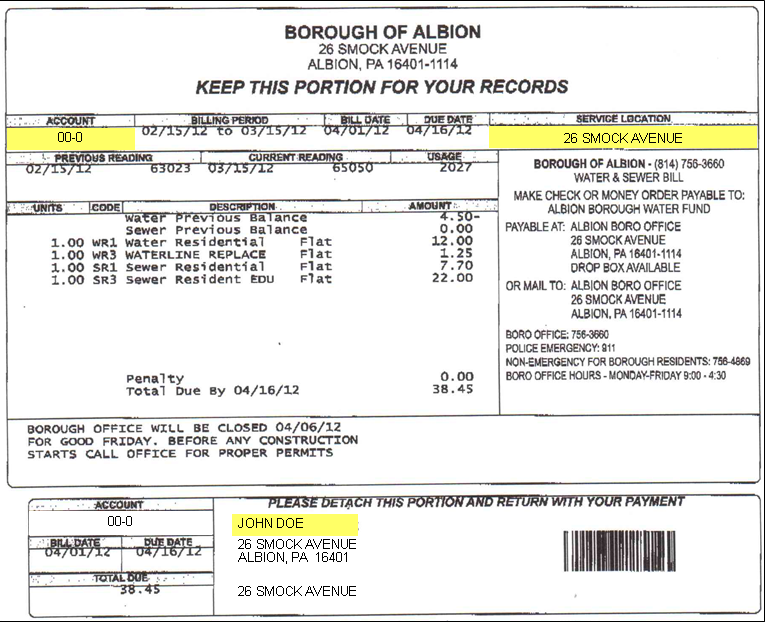 Please choose Water & Sewer Payment from the Transaction Code drop down menu. Fill in all fields related to the payment to ensure proper posting to your account. See our Sample Bill if you need assistance locating the information requested. MasterCard and Discover are accepted for payments. Visa is not accepted. There is a small fee charged by our third party processor for using this service.